When it comes to art, the ideas of what is art and what is not has never been a concrete definition. What is art to one person is junk to another. What you need to do more than anything is to find your interest and go with it. 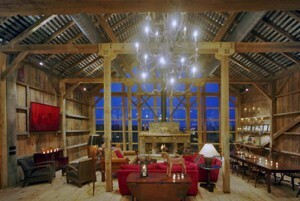 For some, the idea of western themes is an excellent basis for interior design and art in their home. Whether it represents a design theme or an interest, one thing that a person with this sort of art and design inclination can do is look for old farm photos to be used in the design features of their homes. The art of photographs come in many different forms and should be incorporated in assisting with the overall theme of the home . Using reprints of old ads from old farms are an excellent way to incorporate your interests tastefully into your homes decor. Veneer bricks are an excellent choice for a background to emphasize the overall western barn theme. Another way you can use old farms as a design and decor feature is by framing old articles. Some articles where on local farms, some where articles/advertisements for builders that focused on building farm houses. The bottom line is that taking these reprinted articles and advertisements, framing them and placing them on a wall or on book shelves can make for a truly stunning and very unique design element in any home regardless of the persons design theme or interests. There are plenty of different ideas and tastes when it comes to interior design and what works for some may not work well for others. However, if you are looking for something truly unique and original, you can look into cost effective products for interior design or art, such as veneer bricks that present the best combination you can have both tastefully and interesting. Whether old farms are of particular interest to you or you are looking for something that is truly different and unexpected, using earth toned colors and wall accents can make a huge impact on the overall project!